It's been six years since Camp Rock first came out and now a Demi Lovato and the Jonas Brothers collaboration is imminent. Well, one of them, anyway. 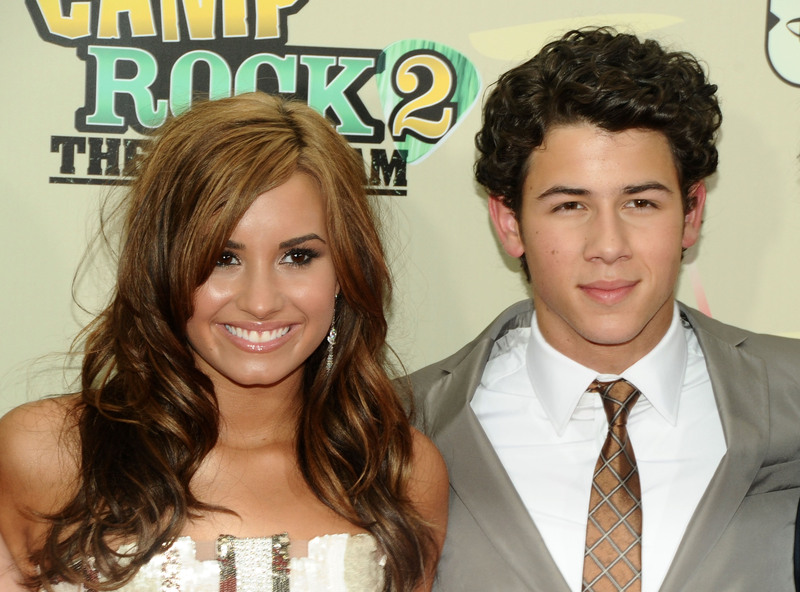 Sure, Demi Lovato and Nick Jonas have talked about starting a band together in the past, but they didn't seem to be taking it seriously and so we didn't take it seriously. It seemed like we were all going to have to settle for vague comments and guest appearances on each other's tours. However, people who have long been hoping to get a little more Nick Jonas and Demi Lovato action in their lives can now officially rejoice. Nick Jonas and Demi Lovato are doing a duet together that will appear on Jonas' upcoming solo album. "We did one for my record," Jonas told E! Online. "It's a great song that we both love. Her voice is just amazing on it. She's the real deal. It's the perfect fit for this record." That's as much detail as we're getting out of him on what the song is about, what it will sound like, or even what the title is, but it's good enough for me. After all, Jonas and Lovato performed three songs together during her Neon Lights Tour and their voices blended together so perfectly then that I can't imagine how they're going to improve upon it when they both had input on the song they're singing. Jonas has already released one song from his upcoming album called "Chains" that came on Wednesday morning with an accompanying music video. While Lovato tends to go for more of a pop-rock sound, Jonas' single is more slow and sultry R&B. In fact, it doesn't sound particularly compatible with Lovato's sound at all, which is more exciting than it is worrying. After all, Ariana Grande and Iggy Azalea didn't seem like their music styles had a lot in common before "Problem" came out and rocked our worlds. In light of all that, I'm already hoping that Jonas and Lovato's song is an actual duet rather than Lovato simply singing the chorus or providing backing vocals for Jonas. From the way Jonas is speaking of it, it seems fair to guess that they both get their chance to shine on the track. Whether or not it will be released as a single remains to be seen, but Jonas' album doesn't come out until the fall and that's way too long to wait for new Demi Lovato music. In the meantime, get your Camp Rock and "Nemi" gifs ready.